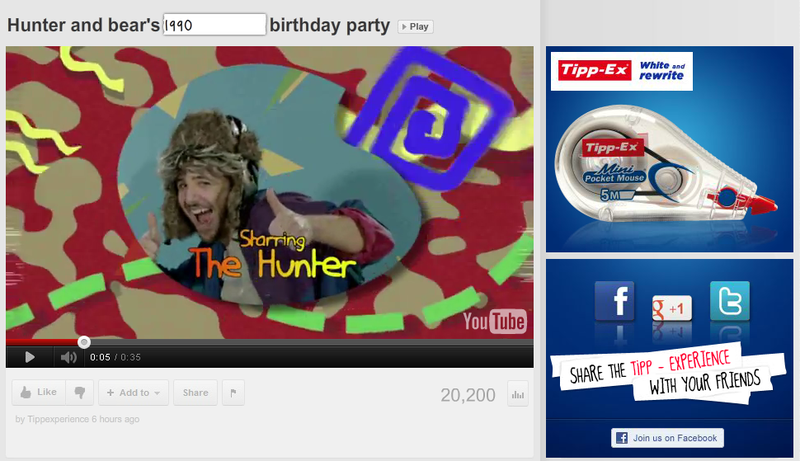 Remember that completely amazing, mind blowing, woahwoahwoahhowtheheckdidtheydothat tippex campaign on youtube? Whereby you could type any word in "A hunter ............. a bear!" and the ending to the video would happen exactly how you want it to. I.e if you wrote "A hunter LOVES a bear." you would see the hunter romantically propose to the bear. Anyway, we're pleased to say, the bear is back. And it's his birthday! This time type in ANY year to get a yearly themed birthday party. Our personal favourite so far is the year 1969! It's also reassuring to see the world will still exist in 2013, even if it is being invaded by aliens.